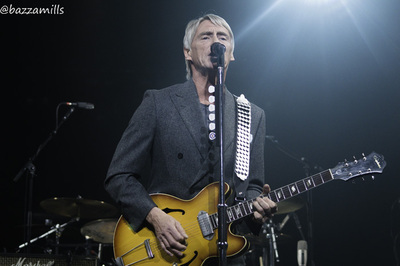 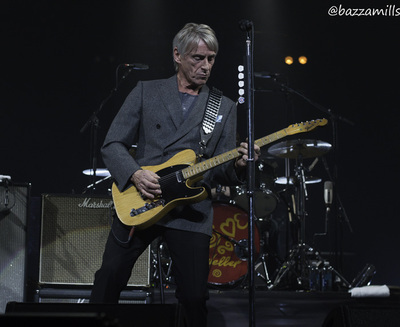 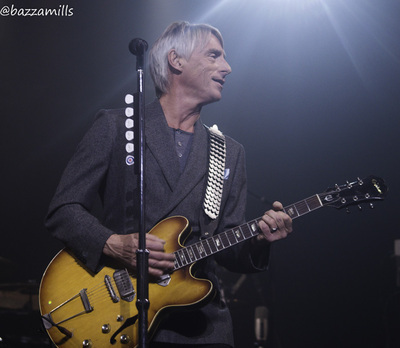 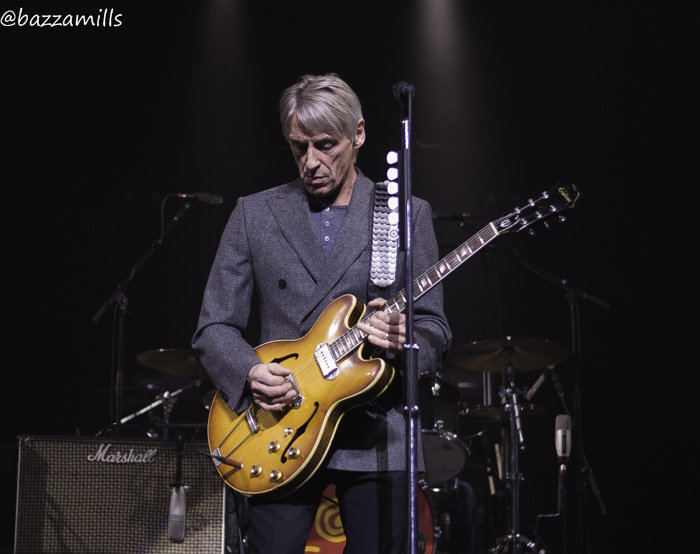 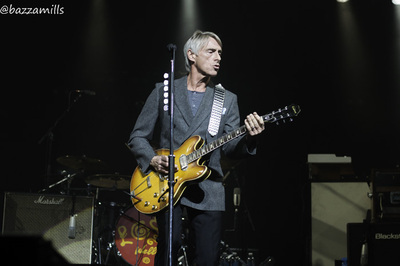 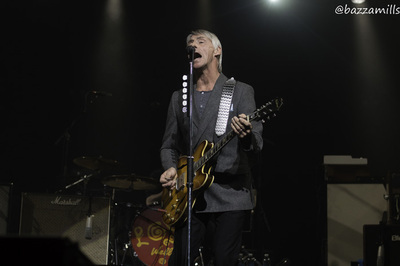 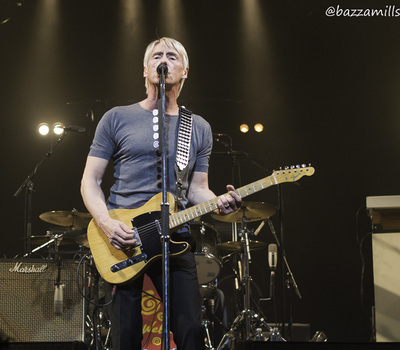 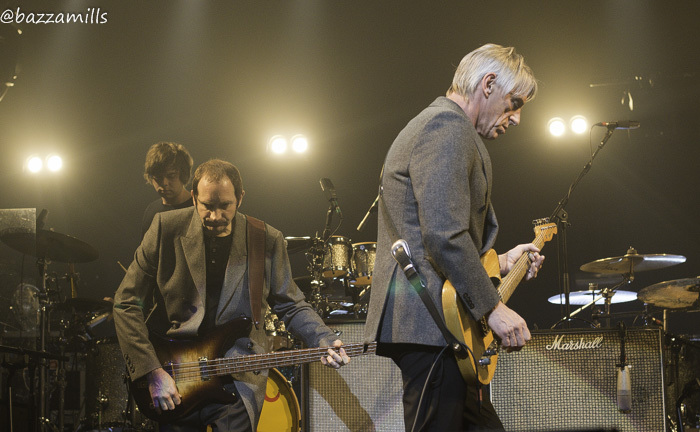 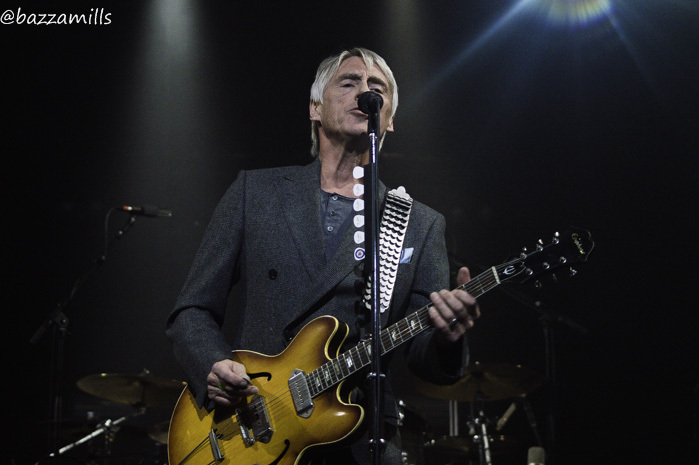 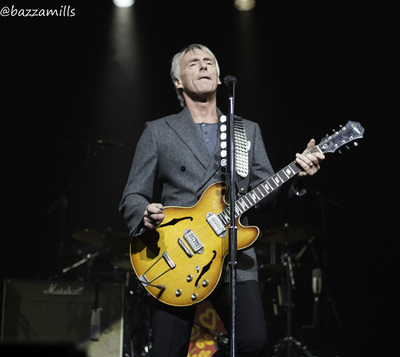 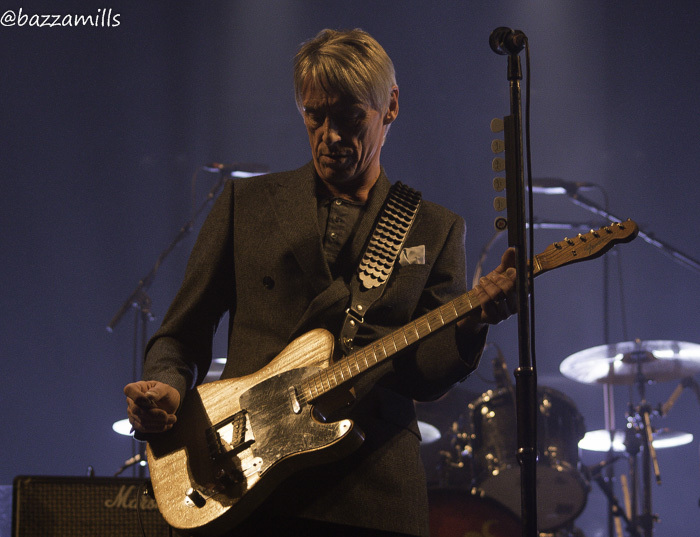 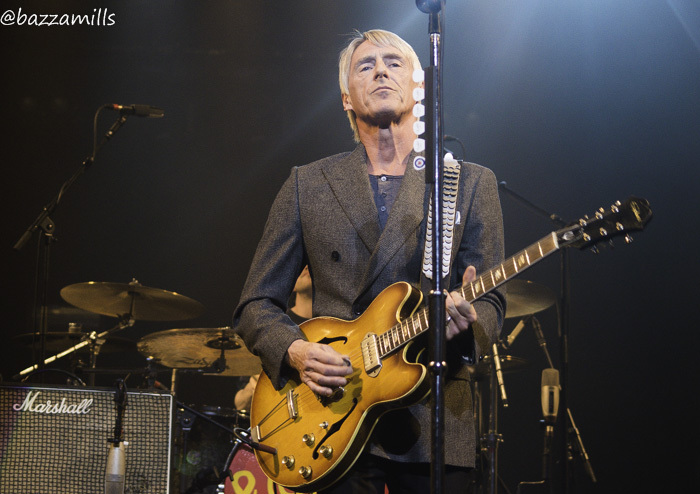 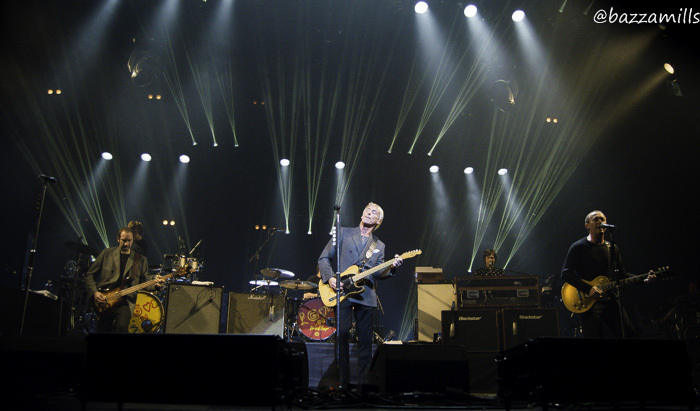 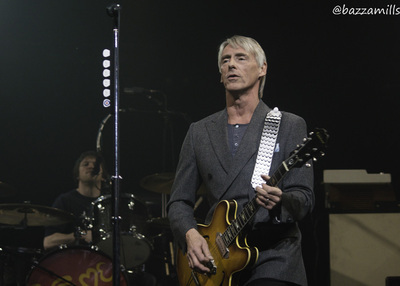 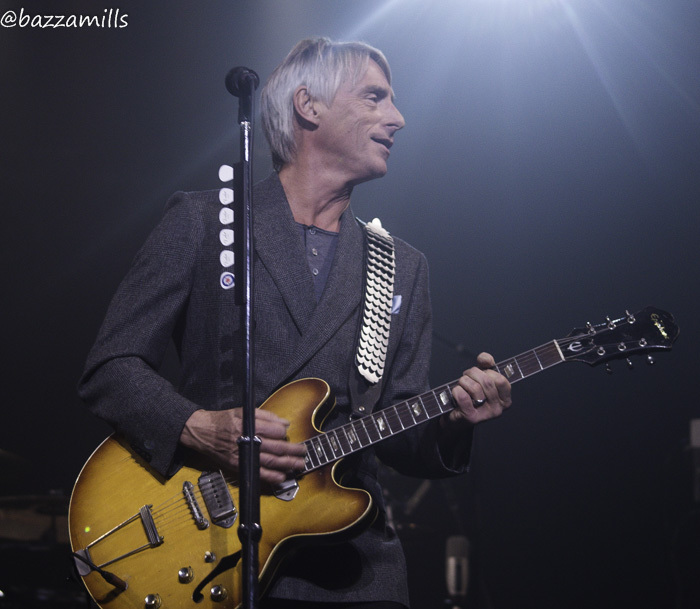 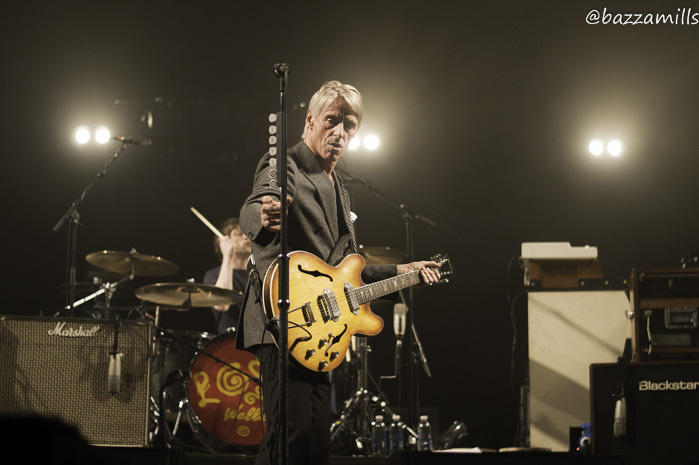 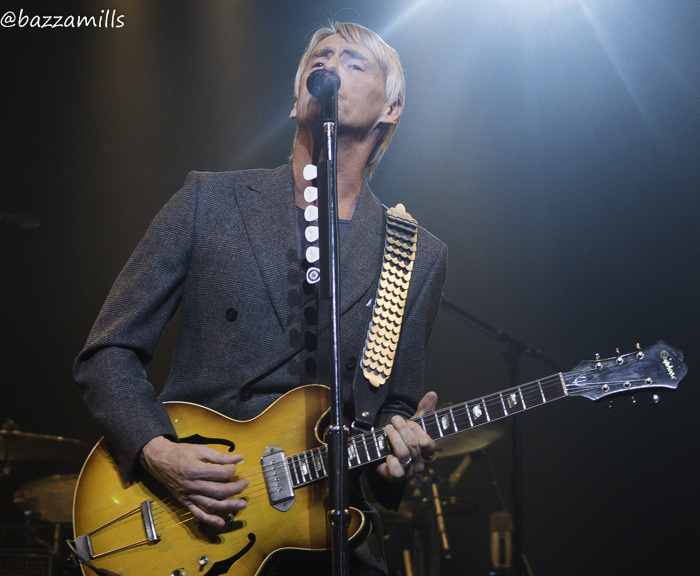 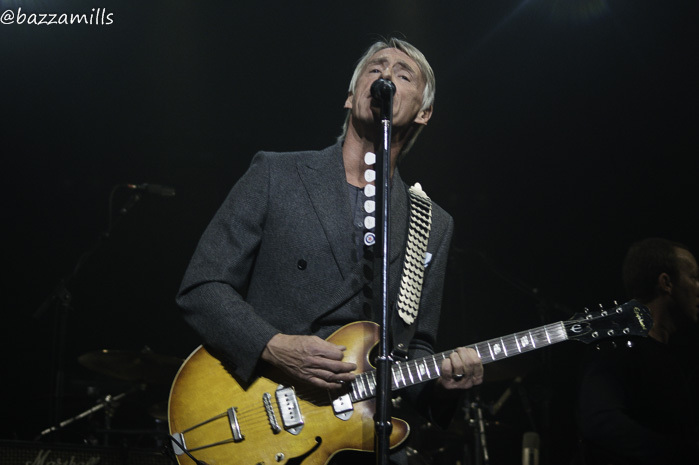 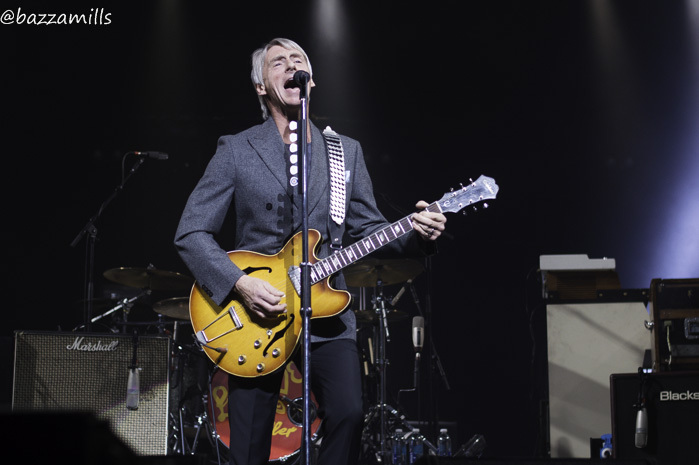 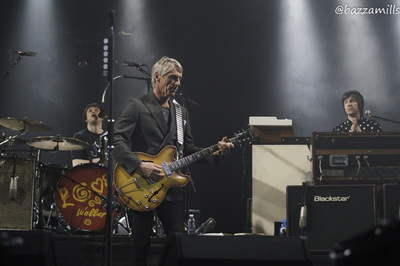 As an army of fans wait eagerly on the release of Saturn’s Pattern (Paul Weller’s 12th solo studio album) this gig brought an end to the current Weller band tour and was one I had been excited about for some time. 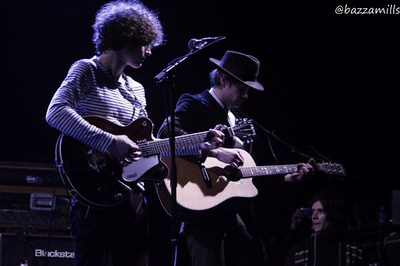 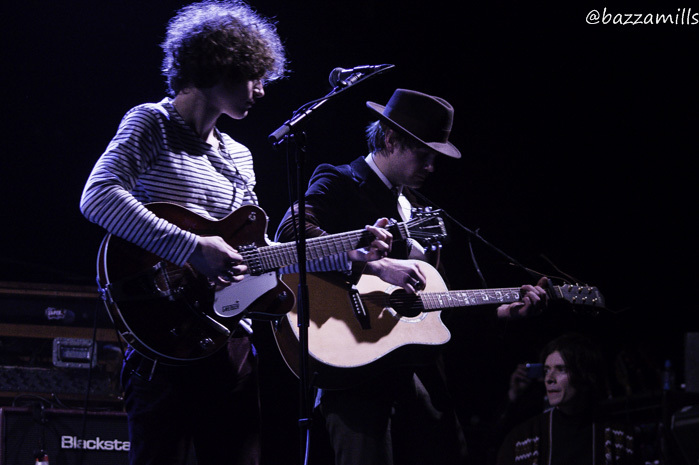 Following support slots at some of last year’s forest gigs, upcoming Scottish band The Merrylees provided the support for the night. 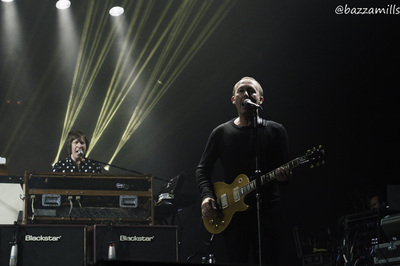 Having briefly caught and enjoyed the band last year at ‘Dunfermline Live’ I made sure I was through in plenty of time to catch their set in full (well almost). Again The Merrylees impressed with the dreamy ‘Forever More’ being a standout. 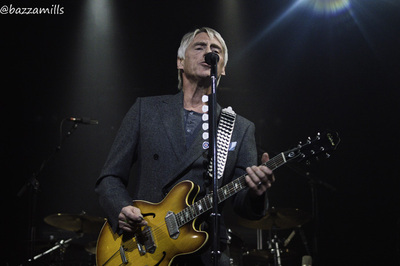 In the lead-up to Paul and his band taking the stage the atmosphere builds as the numbers continue to swell and as I chat to fellow fans and catch-up with a few familiar faces I can feel the adrenaline kick-in and there is no doubt in my own mind that tonight it going to be special. The crowd itself is a real mix of old timers right through to new age fans kitted out in Pretty Green T-shirts with many in attendance recounting previous gigs and comparing eras from The Jam to The Style Council to Paul’s solo work. 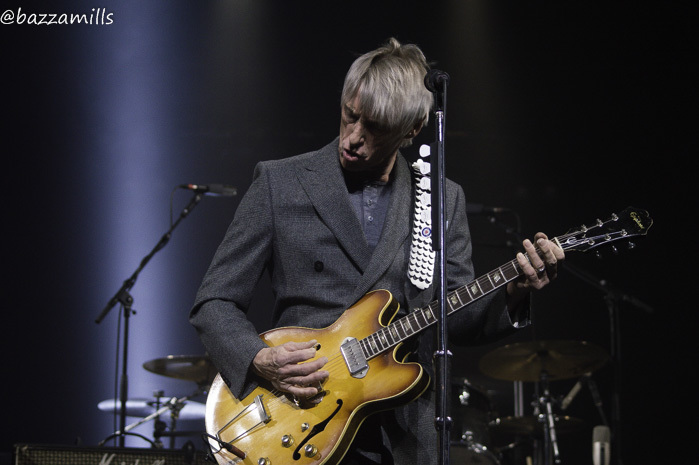 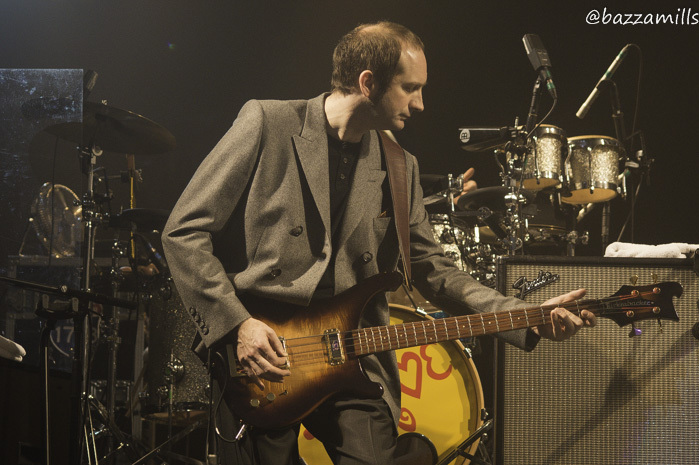 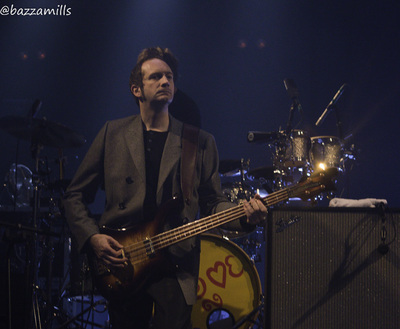 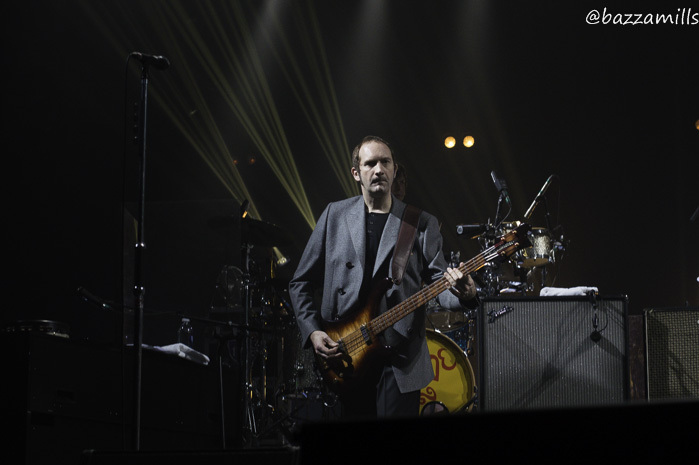 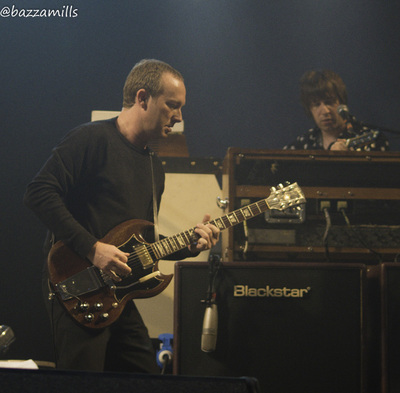 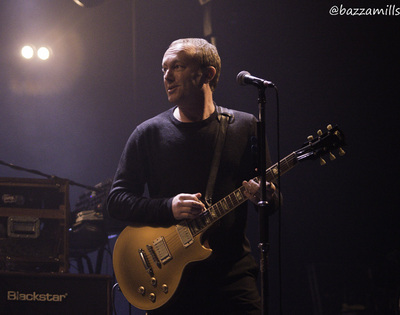 For me personally, I am perhaps a slightly unusual fan of Mr Weller and only really got heavily into his material in the 90s through listening to Ocean Colour Scene and in particular Paul’s long serving guitarist Steve Cradock. Since then, I have continued to enjoy the solo releases whilst quenching my thirst for more by exploring the back-catalogue and reading Weller bibles such as the terrific Mr Cool’s Dream (a must for any Style Council or Paul Weller fan). By the time ‘the Modfather’ strides onto the stage with his band the euphoria is tangible and as Paul picks up his guitar and opens with ‘White Sky’ my goose bumps are back. ‘Come On/Lets Go’ follows and the old Playhouse is well and truly rocking and I cannot resist punching the air in approval as I sing along between taking a few photos! ‘Kosmos’ features next and is accompanied by some mesmerizing lighting as I franticly try and get some photo-angles on the rest of the band in a venue that has no photo pitt. 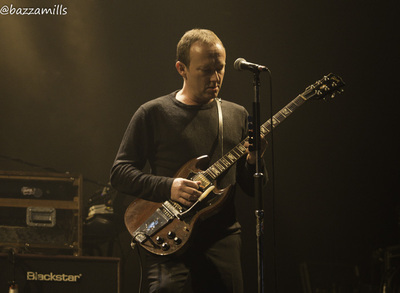 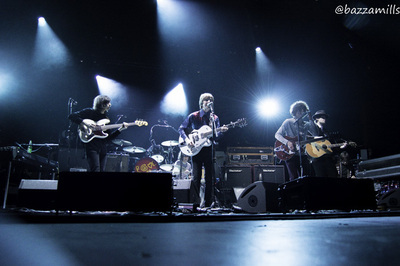 At one point Paul makes reference to his last gig at the venue turning into a standing event and as the crowd almost instantly respond I become aware of a tussle behind me as an older chap, perhaps overtaken by emotion, attempts to storm the stage and shouts “Paul, Paul” at the top of his lungs as security struggle to restrain him. Pleasingly ‘Floorboards’ continues to feature in the set and sounds dynamite as always. Indeed with this being the final night of tour the band is sounding uber tight and on it throughout. 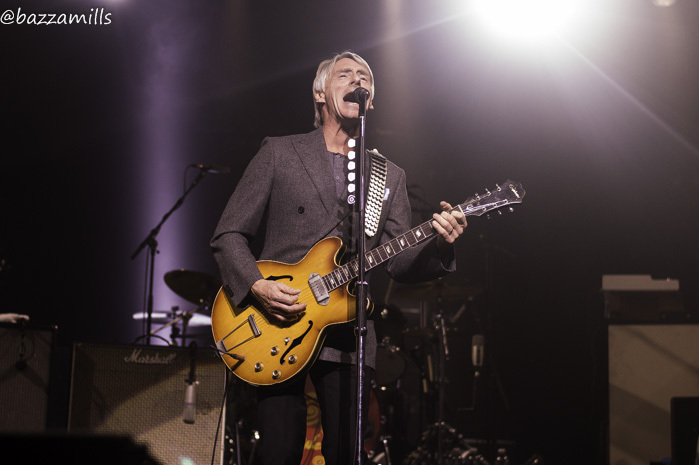 ‘Saturn’s Pattern’ is fresh with the percussion and backing harmonies sounding the business whilst in an emotional moment, Paul shares the inspiration behind ‘Empty Ring’ as he dedicates the song to his father. 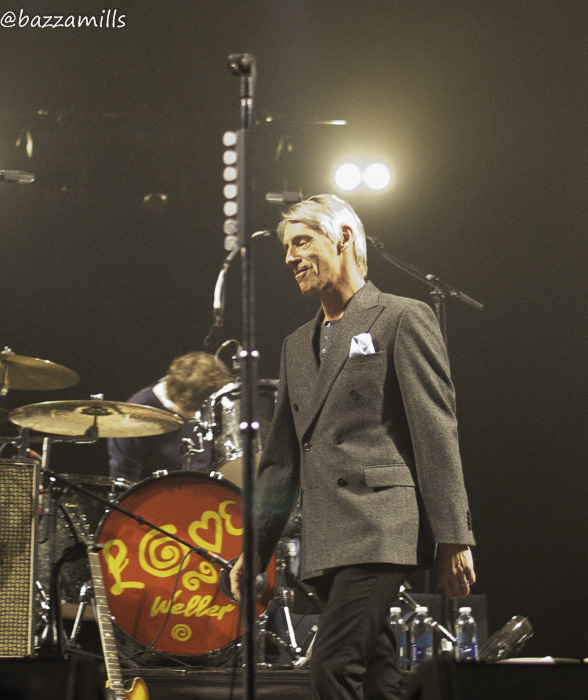 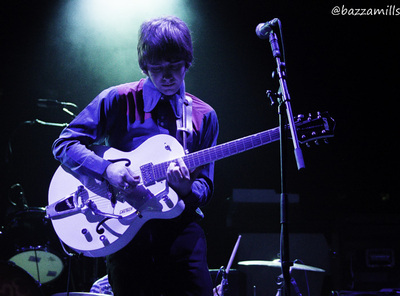 New track ‘Long Time’ follows as Paul introduces the song as being a bit of Lou Reed. 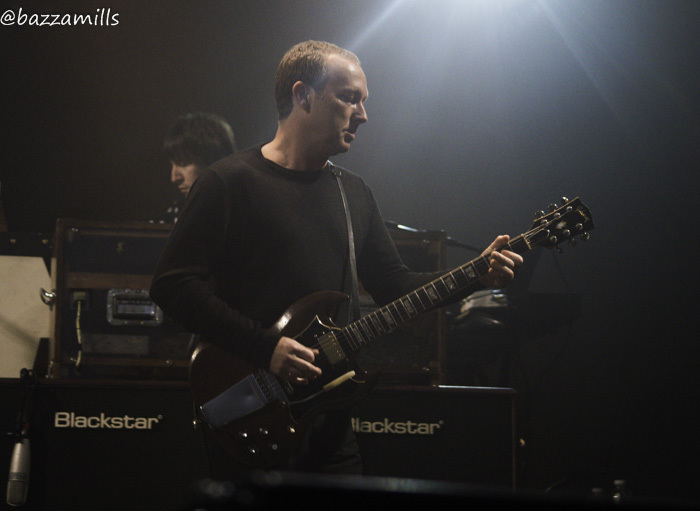 For me, the track is another immense highpoint with bassist Andy Lewis echoing the vocal throughout. 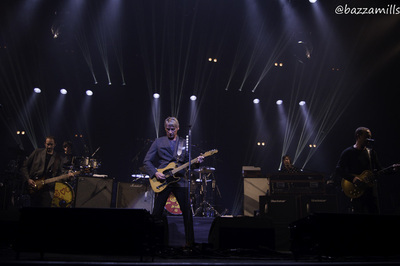 The set continues to please all with ‘The Attic’ and ‘Friday Street’ getting everyone bellowing their lungs worth back at the stage for all their worth. 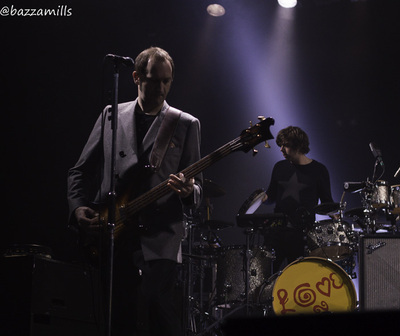 ‘Porcelain Gods’ follows with Steve Pilgrim killing it on the drums before Andy Lewis introduces 2014 and final Record Store Day release ‘Brand New Toy’. 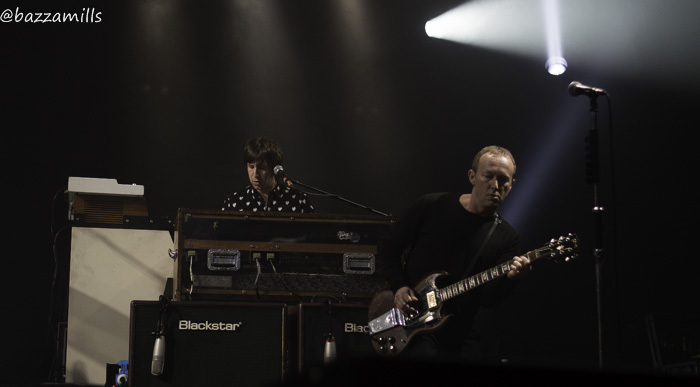 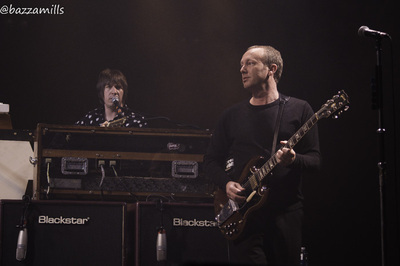 Similar to myself, there are a few Steve Cradock fans in the crowd with one guy relatively close-by shouting out repeatedly “Stevie” like his life depended on it. 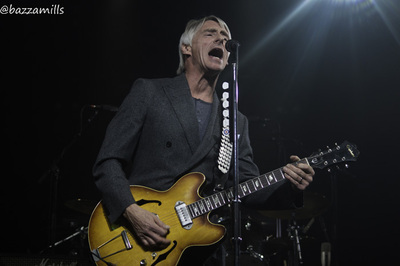 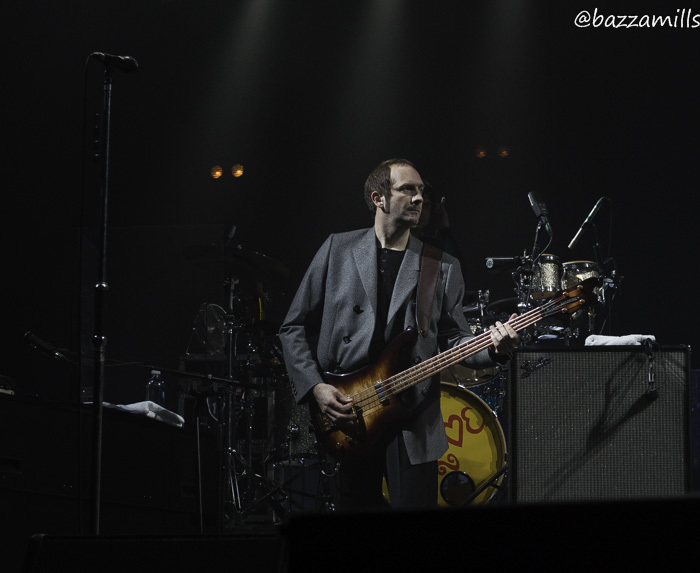 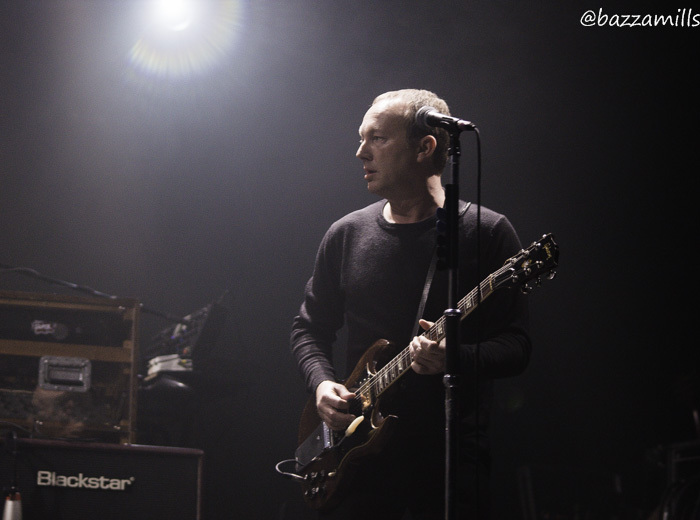 During 'You Do Something To Me' Steve takes the spotlight momentarily for a tasty solo on his Gibson SG in another highlight of the performance. 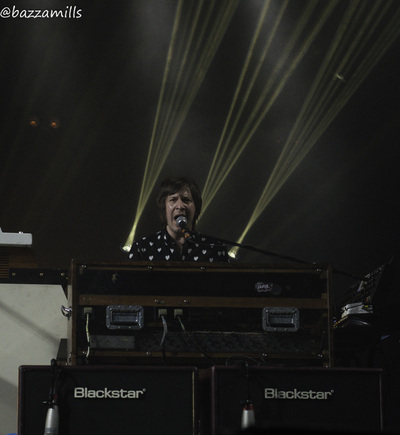 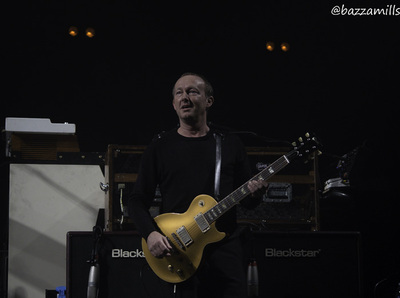 On such an occasion even a technical issue with Paul’s guitar cannot dampen the mood as Paul effortlessly takes to the piano for ‘Broken Stones’. 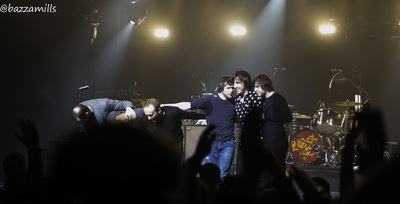 In a rousing pre-encore finale Paul and the band leave nothing behind on ‘Peacock Suit’ as the venue continues to feel the power radiating from the stage. 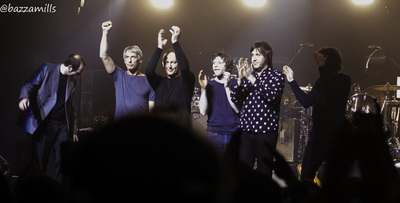 Being the final night of the current tour, the finale does not disappoint and with three encores culminating in final final final closer ‘Town Called Malice’ no one and I mean no one left the venue feeling anything but fulfilled. Wow! 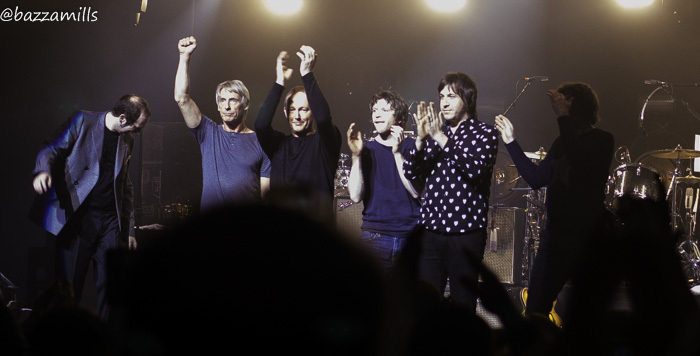 What a night and once again I was left feeling grateful I was there. 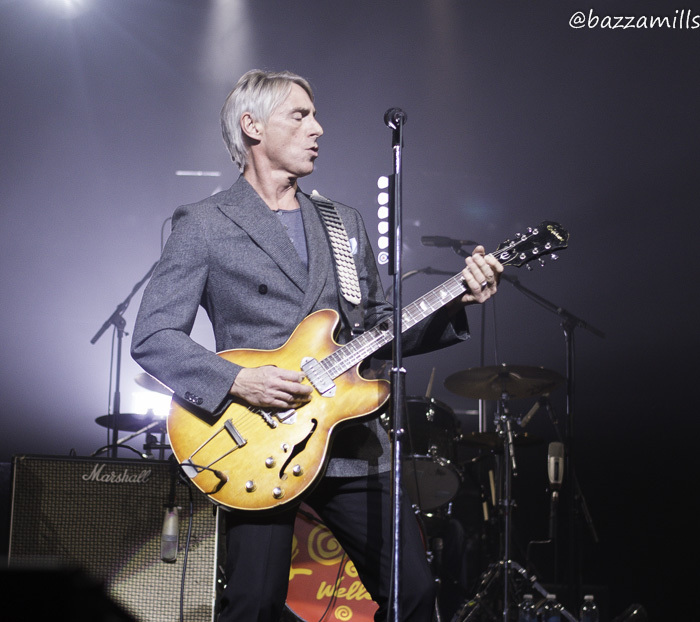 Having followed the tour on-line I was keen to get a fan photo with Paul myself but this was not to be (on this occasion anyway). With Saturn’s Pattern on the horizon and an arena tour planned later in the year, I am already looking forward to November. 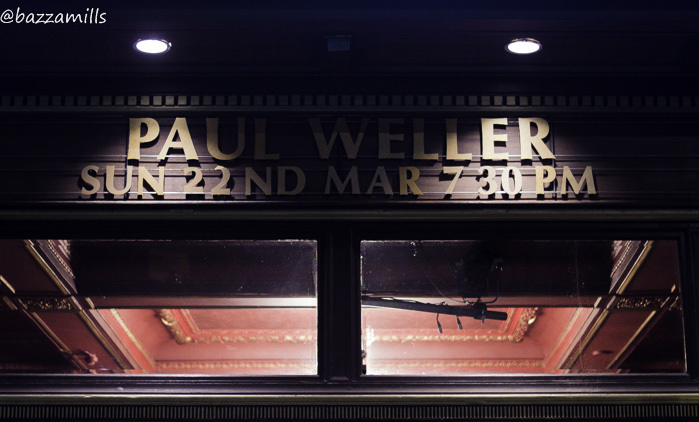 Until the next time….PW…forever!